Vance and Tina Morrow have been volunteering at Matt Talbot for 3 years. Their volunteering story is a great example of giving back during this holiday season. Vance was seriously hurt at work in 2008, smashing his lower back, which caused him to lose his job as a plumber of 15 years. They decided to get out of their house and move into their 5th wheel RV. Tina started looking for options that would help them with the basic needs of everyday living. They had the pleasure of meeting Sara at Matt Talbot, and got help with gas vouchers and a couple of food baskets. They experienced a long hard road until all the legal battles were over and got back to some kind of normal. 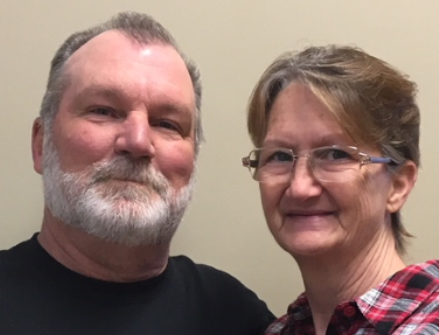 When they got back on their feet Tina decided she wanted to help serve dinners at Matt Talbot, and give back. “We both love MTKO, staff and clients. 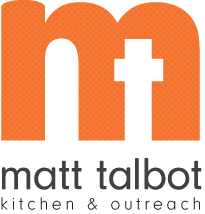 We get to see what happens at Matt Talbot with many people moving into better situations.” They love the outdoors and camping, so during the summer months they are camp hosts for Nebraska Game and Parks. They hate for the summer to end but do look forward to their return to MTKO every year. Their major motivation to volunteer at Matt Talbot is PAY IT FORWARD. They love it here!